PGP stands for 'Pretty Good Privacy'. This program to encrypt and decrypt data has been around for years and is often used for signing, encrypting and decrypting emails and to increase the security of email communications. 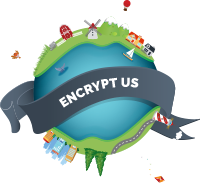 EncryptUs uses the same system as PGP, but EncryptUs makes it easy to send and receive encrypted emails. As anyone who has tried to setup and use PGP with attest, it's difficult to get to grips with and not user friendly at all. Both PGP and EncryptUs can be used to send messages confidentially. When a user sets up EncryptUs, two keys are generated based on the users email address. The 1st key is called a public key, and can be shared with other correspondents. The 2nd key is called a private key and the user must keep this secret.